Gophers coach Richard Pitino met with St. Petersburg (Fla.) 2018 guard Tai Strickland on Monday to talk about what type of future he could have with the program. Strickland was impressed enough to make a couple decisions that same night. He scheduled an official visit for April 6-8 on Minnesota’s campus. 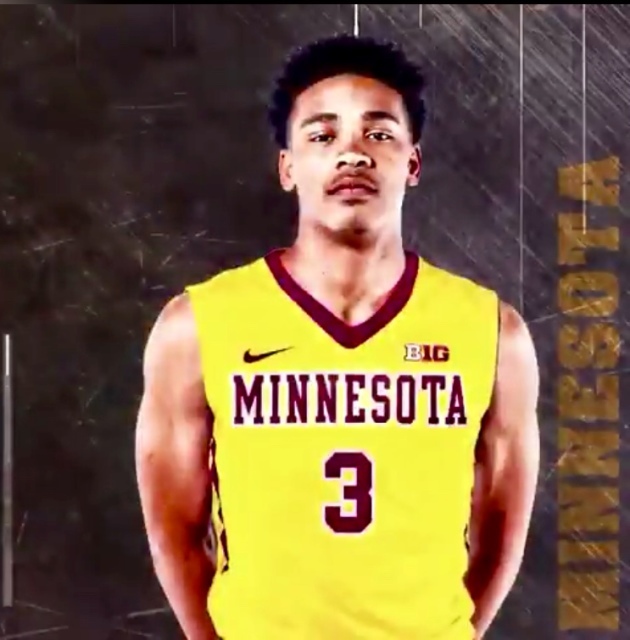 The three-star prospect and son of former NBA point guard Rod Strickland also narrowed his final three schools to the Gophers, Wisconsin and Rutgers. “I have a great relationship with them and they have shown they are going to give me a chance to come in and compete and earn minutes,” Strickland told the Star Tribune about the Gophers. Strickland was offered a scholarship by Minnesota after assistant coach Kimani Young saw him play in a Florida state semifinals game March 9. Wisconsin offered him on Feb. 15, so he visited the Badgers last week. Rutgers offered him Feb. 23, so he will visit the Scarlet Knights this week. To call Strickland a late bloomer would be an understatement, especially physically. He started his high school career off as a 5-foot-3 freshman. He was 5-8 and 150 pounds as a sophomore, 6-0 and 165 as a junior and now he’s listed at 6-2 and 180. He spent one year at Jesuit High in Tampa, two years at Tampa Catholic (where he played with current Kentucky freshman Kevin Knox) and eventually transferred to St. Petersburg High to play his senior season with AAU teammate and fellow guard Serel Smith, a former Ole Miss recruit. They finished 24-6 after losing in the state Class 8A semifinals. Pitino told Strickland he would like to see him compete with current Gophers point guard Isaiah Washington, who will be a sophomore next season. Starting floor leader Nate Mason was a senior this year. Will Strickland be the final piece to Pitino’s 2018 recruiting class, which includes center Daniel Oturu, forward Jarvis Omersa and shooting guard Gabe Kalscheur? The Gophers will likely have to wait until the spring signing period starts April 11 to find out.